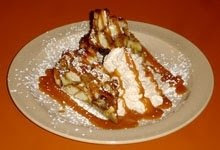 Oh my gosh, I am so hungry looking at this....so I guess that means if you're hungry too we'll see you at SNOOZE on Larimer Street in Denver this Saturday to try out the "Honey Toasto" French toast dish created by the Belmar shop Gimme Gimme Pillow Toast and the chefs at SNOOZE. The event will give people the opportunity to sample this wonderful morsel as well as sample some other Asian snacks and get a listen to some cool Japanese pop and rock videos and music. There will be a cash bar, hopefully providing sugarless cocktails, and some limited edition t-shirts available that I'm sure will be sweetly fun. Kudos for coming up with a unique and yummy event guys!